Film Impact Tester is applicable in impact test that causes plastic films and foils to fail under specified conditions of impact of a free-falling dart. Film Impact Tester conforms to standards of ASTM D1709, ISO 7706 and GB9639. For more information, please feel free to contact Leading Instruments Co.,Ltd via www.leading-instruments.com, (tel) 0086-531-58668976 or email marketing@leading-instruments.com. 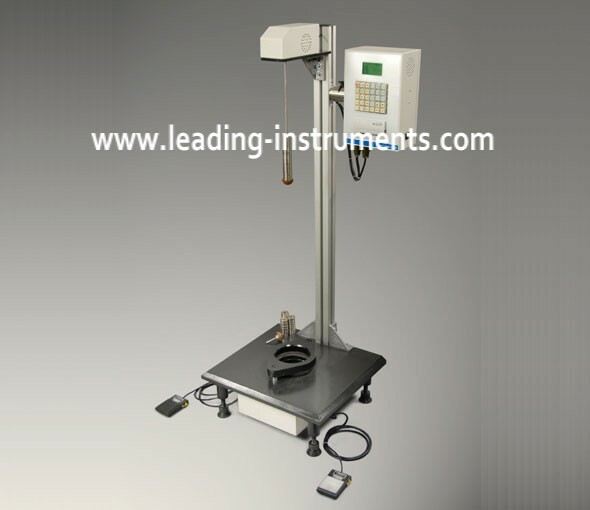 Leading Instruments provides excellent testing equipments and services for Labs, quality and safety control sections of worldwide industries, including pharmaceuticals, foodstuff, cosmetics, packaging, printing, adhesive, automotive, petroleum chemistry, environment, biology, new energy, construction, astronautics and electronics, etc.